How to tell if your diamond is real at home? If you’ve been given a ring, earrings, a bracelet or anything encrusted with a diamond it can be hard to tell if the diamond is real or not. If you want to figure out whether you have a real diamond in your hands, you can test it easily, in your home. 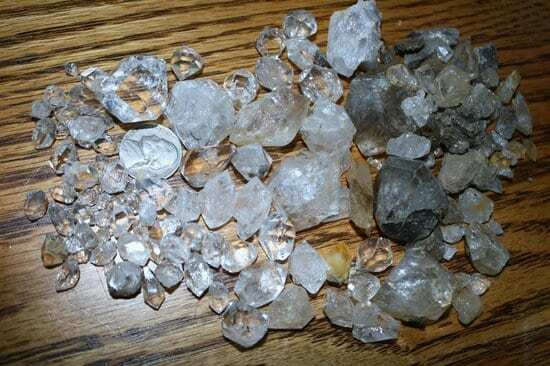 Obviously if you want to be 100% sure that your precious rock is actually a diamond and even get a price estimation for it – you should definitely take it to a specialist. The water test is quick, simple and incredibly accurate. All you have to do is (carefully) drop your diamond into a normal sized glass that is ¾ full with water. 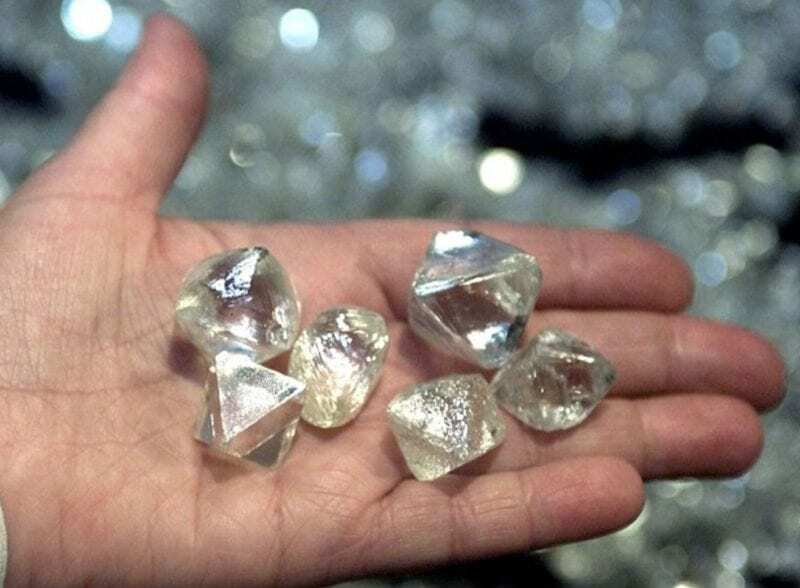 If the diamond sinks, then it is probably real because diamonds are incredibly dense. However, if it floats on the top of the water, or just underneath – unfortunately, you have a fake. Be aware that if the stone you’re testing is set into metal, like on a ring, then it will likely sink regardless. So this test is for the stone alone. 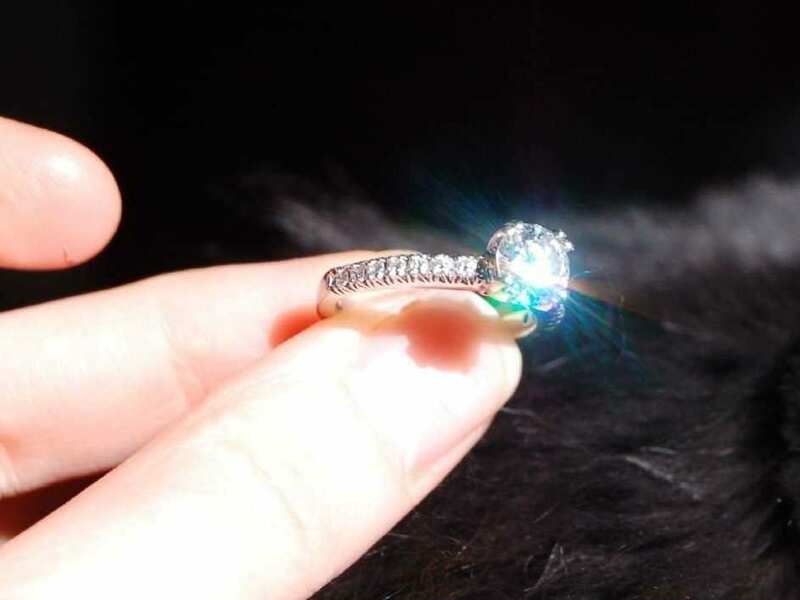 Another way to check whether your diamond is real or not is to carry out the fog test. For this test, hold the stone between two fingers and breathe on it. Because of the heat in your breath and the moisture within the air, a light fog will appear on the stone. If the fog disappears straight away, then your diamond is real. This is because diamonds are heat conductors, and can disperse heat pretty quickly. If the fog takes longer (several seconds) to disappear, then your diamond is fake. This test is not for the faint-hearted. 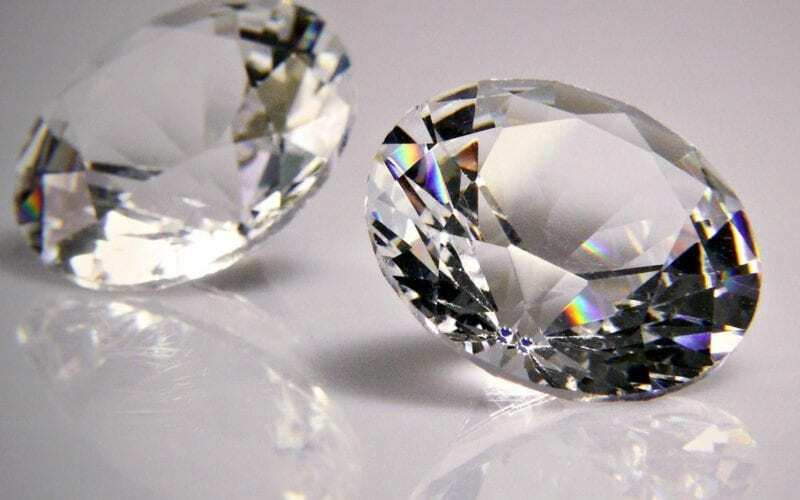 Because diamonds are incredibly durable and strong, they should be able to withstand intense heat. Fake diamonds will not. To do this test, fill a drinking glass with cold water and keep it next to you. Then, use fireproof gloves or pliers to hold the stone above a lighter for around 40 seconds. Then immediately drop it into the glass of water. If the stone shatters, it is fake. If it does not, it is a real diamond. The read-through test requires newspaper that is full of lettering – so make sure you have some to hand! Place the diamond on the newspaper where there is a lot of lettering, and ensure no shadows fall on it. If you are able to read the letters through the stone, the diamond is fake. If the diamond is real, you should not be able to read through it, as the stone refracts the light in various directions, rather than a straight line – making it impossible to read. More often than not, you can tell whether a diamond is real or fake just by looking at it – because real diamonds are set in high-quality materials that are quite easy to spot. But there are other tell-tale signs. Looking on the inside band of the ring for markings can help you determine its authenticity. Look out for markings such as 10K, 14K or 18K for gold, PT and Plat for Platinum and the numbers 585, 770 and 950 that are also used for gold and platinum. However, a stamp saying C.Z means that the diamond is cubic zirconia – which is not a real diamond.